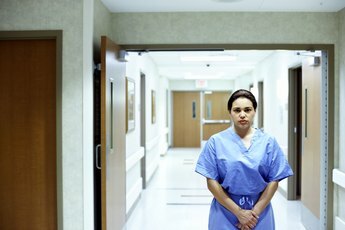 How Much Does a Veterinarian Make Without Taxes? Many veterinarians earn their pay by focusing on family pets. 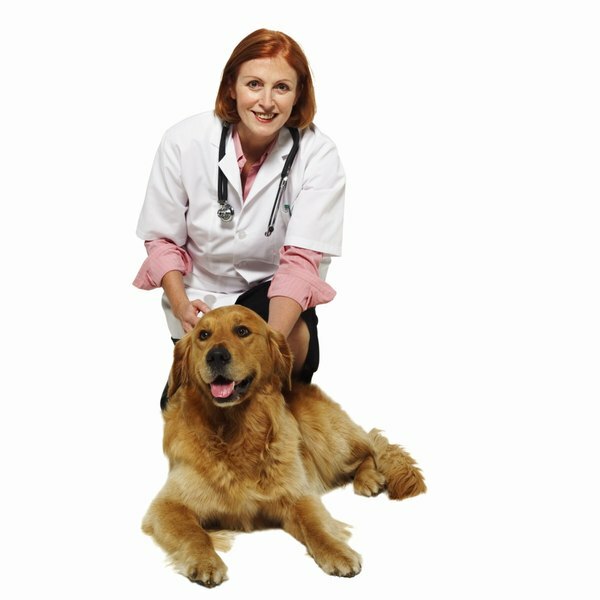 Veterinarians are to our furry friends what doctors are to you: handlers of medical problems and solutions. Although you may feel otherwise about their life-saving services to Fluffy, they must pay taxes just like everyone else. Salary surveys, such as the one by the U.S. Bureau of Labor Statistics, don’t consider those government fees when posting what veterinarians earn. This lets you easily compare the earnings of different professions. 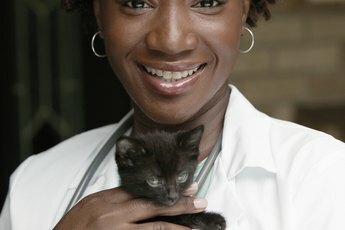 Veterinarians made some of the highest salaries of any professional, averaging $93,250 a year, as of May 2012, according to the Bureau of Labor Statistics. 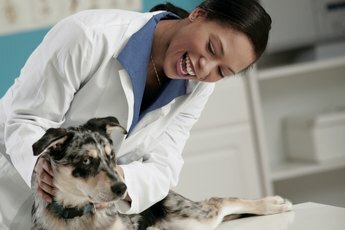 The best-paid veterinarians made more than $144,100 a year, although the lowest earners made less than $51,530 per year. Veterinarians earn higher average annual salaries than health diagnosing and treating practitioners -- a category that includes the high-earning anesthesiologists and gynecologists -- who average $91,890 annually. And average veterinarian wages were almost double the mean annual $45,790 made by all workers in the country. It makes sense that areas with the most people would have the most pets. So, it’s no surprise that the most populous state of California had the most jobs for veterinarians, with 5,270 out of the total 56,020 professionals raking in an average $107,830 per year. The second-most populous state of Texas was next for employment, with 3,670 jobs at a mean annual wage of $99,620. The top-paying employers were Connecticut, at a mean $121,480 yearly, and Delaware, at a mean $112,620 per year. In cities, Chicago topped the employment list, with 1,200 vets averaging $80,650 yearly. New York City ranked second with a mean $131,750 annually. The metro area with the highest salary was Cape Coral and Fort Myers in Florida, where veterinarians earned an average of $166,840 per year. A big factor in determining veterinarian salaries is the industry. The No. 1 industry category of veterinarians is other professional, scientific and technical services. It showed 51,600 positions averaging $93,570 per year. Second was the federal government, with 1,370 professionals earning $89,480 yearly. State government was third with 560 veterinarians getting an annual $82,460. For high pay, scientific research and development services ranked first with a mean $132,170 per year, followed by manufacturers of pharmaceuticals and medicines, averaging an annual $113,530. Jobs for veterinarians are expected to spike by 36 percent from 2010 to 2020, which is far more than the 26 percent increase projected for all health diagnosing and treating practitioners. It is also more than two-and-a-half times the 14 percent predicted for all jobs in all industries. More people mean more pets, and pet owners are willing to pay more for animal care. In addition, a lot of the advances in human medicine, such as cancer treatments and transplants, are now available for pets. Prospects are superb. Only 28 veterinary schools in the country are producing new veterinarians. The biggest employers will be large animal practices, public health and government.